This is an ongoing meditation class in Healdsburg for beginners and experienced practitioners alike! Have you heard about the many life-giving benefits of meditation and want to enjoy these for yourself? Is your mind and your life busier than you would like? Are you looking for deeper meaning in a hectic world? Are you longing for a deeper connection with yourself and your inner resources? If so, this class is for you! that will serve you for years to come. Gain insight and connection to your inner resources. Learn to use these resources to make better choices for a more balanced lifestyle. Experience the beneficial chemical changes that occur in your brain during and after meditation. 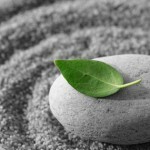 Learn what it is to know “stillness” and how to take this peaceful quality out into the world. We hope to teach you how to use your breath to still your mind, how to handle lives challenges with grace and how to integrate meditation into your daily life. Meditation heals and nourishes our entire being. It promotes clarity and focus, relieves stress and reduces pain. Meditation helps us to be more present, stay connected to what is meaningful and to live with intention. This is an age old practice that holds the power to transform your consciousness from where you are now to perhaps a more trusting and loving place. We believe the world needs more of this! We highly recommend committing to the entire series. Through a committed practice you will have a better opportunity to realize the life enhancing benefits of meditation and to enjoy a clear, uncluttered mind. 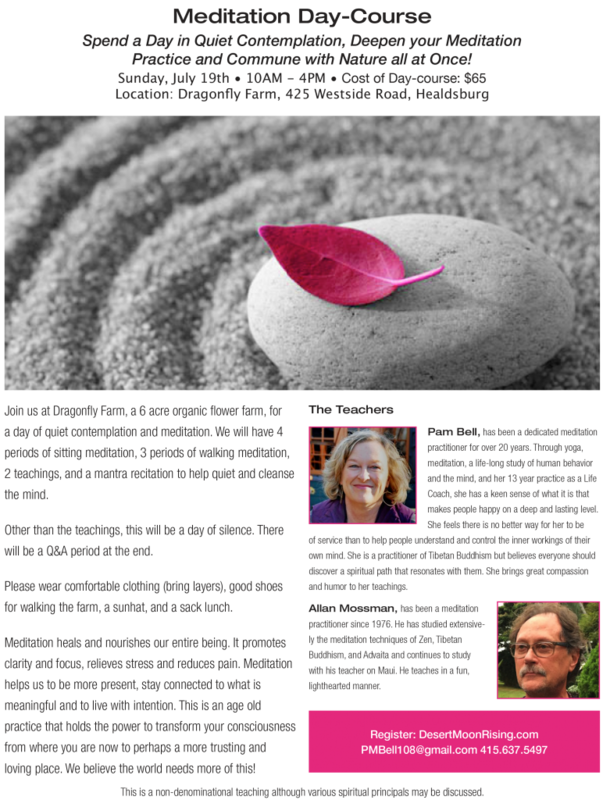 Pam Bell, has been a dedicated meditation practitioner for over 20 years. Through yoga, meditation, a life-long study of human behavior and the mind, and her 13 year practice as a Life Coach, she has a keen sense of what it is that makes people happy on a deep and lasting level. She feels there is no better way for her to be of service than to help people understand and control the inner workings of their own mind. She is a practitioner of Tibetan Buddhism but believes everyone should discover a spiritual path that resonates with them. She brings great compassion and humor to her teachings. Allan Mossman, has been a meditation practitioner since 1976. He has studied extensively the meditation techniques of Zen, Tibetan Buddhism, and Advaita and continues to study with his teacher on Maui. He teaches in a fun, lighthearted manner. This is a non-denominational teaching although various spiritual principals may be discussed. We hear it all the time but most of us don’t really believe it is true. You might say: “Less money is more – what? Less work is more – not in my world! 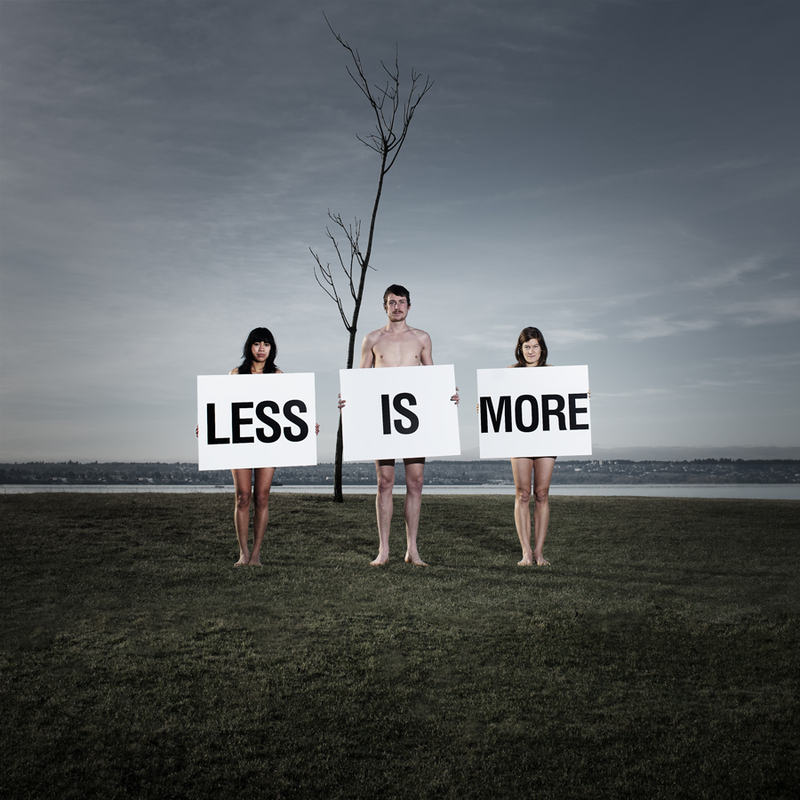 Less assets are more – I don’t think so!” But if we don’t believe the “less is more” principle is true, it’s because we don’t really understand the root meaning. Well, we probably DO understand the root meaning but we might not have enough faith in the results were we to make the sacrifices to see if it actually is true or not…..for us. In the case of frenzied activity however with which most of us live our lives, I’m here to tell you, it is true. Less really is more. And right now might be the perfect time to put it to the test. We live in such harried times. The constant demands on our time, energy and resources are surely enough to shorten or dim our lives by a few years here or there. It seems everyone I talk to feels behind the eight ball in at least one area of their life if not many. If they are on top of things at work, they are falling short at home. If they are able to keep a good home/work life balance, they fall short in taking care of themselves. If they are adept enough to take care of themselves in addition to work and home, they fall short in their social life, or spiritual life, or in taking care of elderly parents. There is just so much to do and it seemingly never ends but eventually, somethings got to give! And it will! Something will give. Probably your health, maybe your relationship, maybe even your career, but definitely, most definitely what what is being sacrificed at this very moment is your quality of life! I personally believe this endless drive to be all you can be began with the need for human achievement. Which is awesome, right? As a species we need to grow, to expand, and to reach new heights. I believe it also began with the desire for more. Along with the desire for more, comes the need to earn more so we can afford to have the more we seek. Bigger house, more cars, more clothes, more goods, better quality of life…..or so we think. Along with the need to earn more we have to work more which means both parents working, kids in daycare, more expenses and the perpetual cycle rolls on. Of course with both parents working they get to remain “engaged” with society and to stimulate their minds so this is not a bad thing, it’s just a “thing” and a contributing factor to our current crisis of being all you can be and then some. The other main contributor to this crisis is technology. Again, technology is amazing! Our lives and our reach are so expansive because of it. We can have a meeting with people on the other side of the planet while sitting in out pajamas in the comfort of our own living room….amazing! A doctor can perform surgery without ever making an incision…..amazing! The things we can do with technology today were unimaginable 100 years ago and one can’t help but wonder where will we be 100 years from today? But, technology is demanding. Personal computers have crept into our homes, our work places, our classrooms, our bathrooms, our purses and our pockets…..we can’t get away from technology if we tried or at least, we’d have to try very very hard and run real fast. The million dollar question then (circling the globe in its pajamas) is: does technology and all these luxuries we have acquired really make our lives better or more meaningful? Does it truly add to the quality of our lives or does it leave us breathless? As in, a hamster on a wheel that can’t get off. It is true, as humans we do have the need to grow and expand and reach new heights, but this doesn’t always have to be outside of ourselves, and in a material way. What about growing our mind? What about growing a better vision of a world in which we want to live? A world we feel good about leaving to our children? What about growing our patience? Our compassion? What about growing the qualities within ourselves that are truly going to give our life meaning and enhance the world around us? What about reaching new heights by letting go of judgement, racism, intolerance? What about taking the time to simply be with ourselves? Quiet. Reflective. Honest. And the time to sit with others in these same ways…..with sincerity and not looking at our phone every 5 seconds to see if we are needed somewhere else? What about the human need for love, kindness and understanding? What about the need to relate? And the need to be heard? And to be cared about? Instead however, we are too busy to grow these qualities on a deep and meaningful level. We are busy with our many roles and our achievements and our attainments, endeavoring to be the very best at everything we do. Endeavoring to reach our personal best by being all things to all people only, in the process we have forgotten who we are. We have become a blur and if we keep moving, perhaps no one will ask us these hard (but important) questions that we haven’t take the time to answer for ourselves. Being overly busy is safe. It feels worthy and important. We can avoid a whole lot of personal growth, the work we are here to do, by keeping busy and trick ourselves into thinking we’re doing something meaningful……something that matters. But then, when we sit quietly and in the company of our own mind, we are uncomfortable and wonder why, and many years down the road we will still be uncomfortable and add to that regretful because we will still not have answers to the bigger questions of life. Only then, It is likely it will be too late. “Being” rather than “doing” is the greatest gift you could give to yourself and others. Being is expansive in ways technology is not. Being is fulfilling in ways material goods are not. Being satisfies the need for human achievement in ways that degrees and awards do not. Simply “being” is enough or at least it should be. It is even more than enough! It is the MORE of the ‘less is more” equation. It is like breathing….the more you acknowledge your existence through your breath, the more you will want to breath really deep because the awareness of your conscious mind is so amazing. The more you acknowledge your existence by allowing your being-ness to emerge, the more being you will be! Is there something you started and didn’t finish? A project perhaps? A great invention? An idea? Something you really cared about and enjoyed doing but for some reason, life got in the way? If so, this article is for you! Life is busy…..yes? Life is also unpredictable. Often, and for reasons beyond our control, we are headed in one direction and life turns us around and sends us in another, one we hadn’t planned on and sometimes, one we never even could have imagined! Life is not static. Life is not here to meet our expectations. Life, and the conditions herein, are tied to so many infinite unpredictables it is mind-blowing if you really look closely. Yet, for most of us, life goes on day after day pretty much the same and we grow to expect this, and to rely on it, and to like it until one day….it doesn’t. Imagine this scenario (it won’t be hard): we are wandering along on our happy little path, one we think we have mastered, and make stops at all our favorite places like clock work…to get our coffee, and our mid-day snack, and to meet our friends for yoga, then a cocktail or two, then home for dinner and bed and looking so forward to finishing that art piece, or that article we are writing, or that novel, or that garden we are planting, or that training for the marathon we are running in November, or that mathematical equation we are so close to solving….you know, the one that will answer once and for all just how many galaxies there are in the Universe…..on our next day off! We ponder the possibilities all day long in our car, at our desk, we invent and reinvent just how it’s going to look, and feel, to be done! To have completed something that was deeply meaningful to us. Something that was our own creation, our own invention, our pride and joy, and just how deeply satisfied we will be once it’s finished. Or maybe instead, we notice just how wonderful it is to be in this process of engagement, in this place of deep intrigue, so much so that we are not concerned with the end result at all. But still, it steals your attention…when you have attention to steal, that is. But then your day off comes and something comes up at work, or a family member needs a helping hand, or a friend needs a shoulder, or you promised the kids you’d take them to the beach….which you forgot until they boisteriously reminded you. It’s ok….you’ll get to your project another day….tomorrow maybe? Or next weekend for sure! This goes on for a while, you know the conversation better than I, the negotiation between giving yourself the time and giving it to others. “But they need me,” you say, or “My hands were tied, there was no getting out of that!” And your project waits, and it waits….it is a very patient project. It only needs feeding when you have the food to give it. It is the PERFECT pet! And sometimes, on occasion, you do get to feed it! You have an evening off, unscheduled and unplanned, and you sit and you make nice with your neglected project and you become close friends once again! You are inspired and your project has new life, a new brush stroke…”yes, yes, that’s the direction I want to go. We are on a roll now” you say. And, as with many artful things, things that come from way down deep inside, there are the relationship issues to navigate as well. One day in love, the next, agitation. It’s just not cooperating like you want it to…stupid project! You know what you want to say but you don’t know how to say it. You envision it in your mind but what comes out on paper is not the same….it is not rich enough, deep enough,”if I only had the words, the right color, if only I was better at this!” Stupid project….who needs it? Yet, just like with some relationships you can’t walk away. You know if you just stick it out, there is something really worth having here. Something you will miss out on if you throw in the towel now. It continues to enchant you, to court you, and you renew your commitment. You feel good! You know there are real possibilities in this project so you decide to dedicate yourself to it more regularly. You make it a real priority, even over your friends needs, and you are really determined this time! And then something happens – all kinds of things can happen, take your pick – someone gets really sick, maybe you? Or hurt, maybe you? But something happens that is in fact beyond your control and the lines of your priorities are drawn for you. Where and how you spend your time are now crystal clear and your project gets put on the back burner. Suddenly and almost over night it is not even a part of your mental computation. It is utterly forgotten. And you know these words are true. You can feel it in your bones. It breathes life into the dark recesses of your imagination and suddenly, you feel alive! 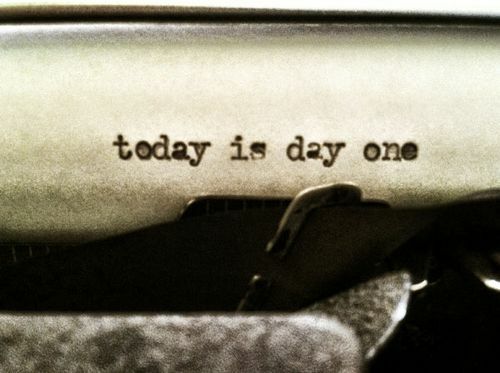 And so, you begin again. Or at least you should if you ever expect things to make any sense. Recently I was driving home at night and listening to the radio, something I mainly do in my car. I was listening to NPR and although I’m not sure what specific show was on the air (because I only caught 15 minutes of it), there was a man reading from a journal. I found the story he was reading to be so moving, it inspired me to write this column. I am unclear as to whether the man was reading his own journal or someone else’s but no matter, the profundity of the story is the same. The Story goes like this: this particular man had been diagnosed with the HIV/AIDS and was told to prepare to die. Again I am unclear as to what time in the AIDS epidemic this was taking place but no matter, he was far enough along that dying was his only option. So, he prepared to die and in his dying he was liberated. He said that he never felt more alive than when he was sentenced to die! 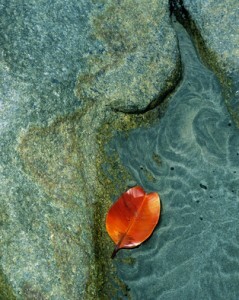 Colors were more vidid, tastes more poignant, personal relationships and encounters more meaningful. It was as if someone turned on a light and he could finally see….after living so many years in the dark. Every day became meaningful and purposeful and he was not only acceptant about his dying, he actually felt real joy for the first time in his adult life. He accepted and embraced his fate completely until one day he went to see his doctor and the doctor told him about these new drugs. Drugs that could possible arrest the AIDS virus and save his life! And so, willing to take a chance on living, he prepared himself to live. He began the miracle drug treatment with caution and as so many people come to realize while taking “life saving drugs,” they made him really, really sick. He was nauseous, dizzy and sometimes unable to leave his apartment for days or even weeks. After a period of time spent in this homebound drug induced reflection, he realized that although he was indeed “living”, inside he felt like he was dying. And in that moment he decided he’d rather die than live like this. In that moment, he chose to quit the drugs and to be more “alive while dying” rather than “dead while living.” In his process of coming to terms with the decision he made, knowing fully it was his choice this time and that he was not a victim of there being “no cure”……he pulled out his prayer beads and created a new mantra with which he could now relate to: I Am Living. I Am Dying. I Am Living. I Am Dying. In hearing this story I couldn’t help but think of just how many people, people who aren’t even sick, are living a life as if they were already dead. A life that has dulled their senses. A life that is full of struggle and strife. A life full of anger and resentment and regret. An ordinary life that anyone from the outside looking in might view as “decent” yet, a life that the person occupying it has become estranged to. A life that is unfulfilling. A life with seemingly little choice. A life lived from “should’s” rather than from “why the hell not’s!” We all know people like this and it is deeply sad. Equally, I couldn’t help but think of all the people who live with a disability of some sort……maybe they are blind, or sick, or are immobile for some reason, and yet, they live as if they are fully alive! Fully functioning. Getting out on the streets even though they can not see…riding buses, holding down jobs. Crossing overpasses in their motorized scooters or using whatever devices they can afford so as to not be held back. I have seen beggars in India with no arms and no legs who have a better since of humor, deeper acceptance and a more sincere smile than most people in our modern society! It is impressive to see people not letting their physical conditions dictate their consciousness and I am often moved to tears because of it. And then there are those with great wealth who will never have enough. And those with hardly anything who are willing to give it all away. This is a complex world in which we live. A world full of opposites – of pain and joy, suffering and celebration, wealth and poverty. It is not a “fair” world but it is the way it is. Call it karma. Call it luck. Call it fortune or misfortune. Call it what you will but by all means, call it something you can make peace with. Paint your imagination whatever color will allow you to live fully while you are living, as if everyday might be your last, and die as if dying were the next great adventure….because dying truly is that one great mystery nobody can really solve, isn’t it? If we are honest with ourselves we will acknowledge that we are all living and dying at the same time. Our days are numbered and unpredictable yet we live as if we will live forever, as if dying isn’t something that will happened to us…..until it does. Like it did to my friend Miguel Walters who died suddenly last week at age of 44. And as it does to so many children. And to so many others who have not lived out their years. Having not died yet myself, I can not say it is actually a bad thing….in my version of death there is only magnificence!…..but to those who are left behind it can be a crushing loss. By remembering the precarious and precious nature of this gift of life on a daily basis, we are bound to be more present and participatory to both, the living and the dying. Hence a daily reminder through a mantra – I Am Living. I Am Dying.